In addition to Florida and the Southwest, where we’ve spent quite a bit of our dive lives, we’ve also traveled to other areas around the U.S. Here are just some of these locations. Some of these sites have websites with more information on them. Some do not. We’re just offering another perspective. An unusual dive. 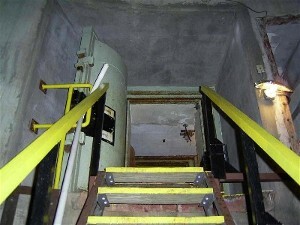 There are several missile silos throughout the United States which have been retired. Most of these silos have been decommissioned, the missiles removed, and the silos sold. The old silos have been salvaged for scrap metal. Some of them have had the control room converted into underground homes. The silos, which are constructed of 4 foot thick reinforced concrete walls, are about 200 feet deep. Most of the silos near Abilene, TX have flooded with groundwater. The depth of the water makes it about 130 feet deep (conveniently the recreational dive limit). The diameter of the silo is 60 feet. This silo was converted several years ago by the owner of Family Scuba Center, a dive shop located in Midland, TX. He has done quite a bit of work to it to make it a safe dive. 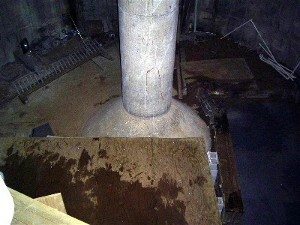 The silo has some scrap metal that was dropped during salvage efforts, so you can only get to about 110 feet. And being that this is an altitude dive, this conveniently brings you to a theoretical depth of 130 feet. Water temperature is a constant 60 degrees year round. 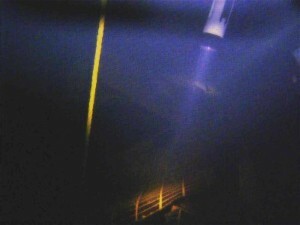 There are lights in the silo, but not underwater, so it also effectively makes it a “night” dive. So there are quite a few considerations when diving this place–deep, altitude, night, cold water, difficult entry. As just mentioned, this is a difficult entry, even though it’s been made easier. 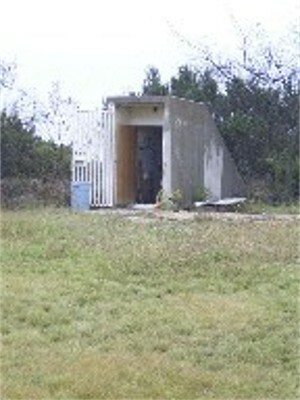 This is supposedly the only divable silo in existence. The owner has set up a changing/kitting up area. 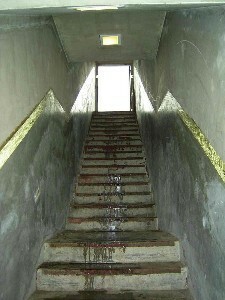 Then you must walk about 100 yards to the stairs, which are fairly steep as you can see in the photos. The platform floats on the surface, so stepping on it with full cold water gear on does make it move quite a bit. Once in the water, you can descend along a line to about 95 feet. Descending along the line is suggested because it’s easy to get disoriented just looking at the concrete walls. 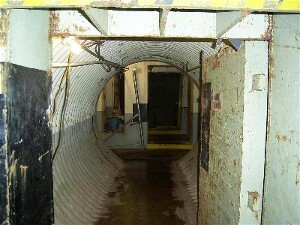 Once at the bottom, you can swim off the line and explore the wreckage at the bottom. Remember, after you surface, you have to get back on the floating platform and walk up the steep stairs back to the kitting area. Then you need to carry all your gear back up to your vehicle. Be prepared to work those legs. We’ve come across some people concerned about the safety of the water being that this was an active missile silo. 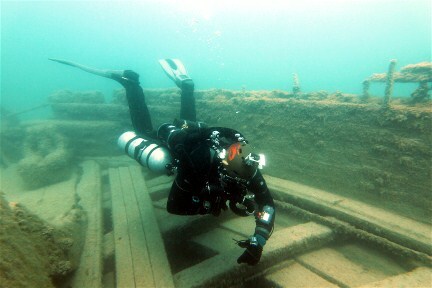 We arrived at the silo before the other divers and ended up talking to the owner for quite a while. He said when he bought the place, he was a little concerned about the lack of life in the silo. Because of this, he had water samples sent out to a lab and tested. It came back clean. So you’re not going to glow after this dive! This place is totally dark when it’s shut down. No light means no life. And since it’s a closed system, we’re not going to have any of the cave fish or craws migrate here (although that would be cool). One of the better inland sites we’ve been to. It’s located in Bethlehem, PA a couple of miles off the highway. It’s easily accessible by any kind of vehicle. They have a decent size parking lot out front. Admission fees for 2005 are $22/diver for the day. They’re open starting the first weekend of April until sometime in November. They are open everyday from May until the first part of October. 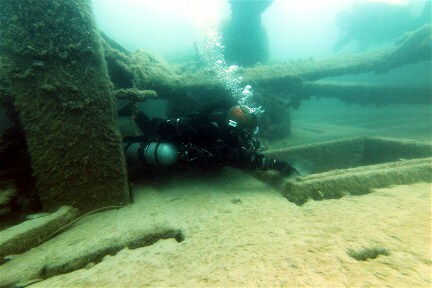 Dutch Springs has several underwater attractions, as you can see from the photos. There are more than those pictured. And they are in the process of replacing some of their older vehicles and adding more. Some of these can be penetrated and are considered overhead environments, so make sure you have the proper training if you plan on checking them out. 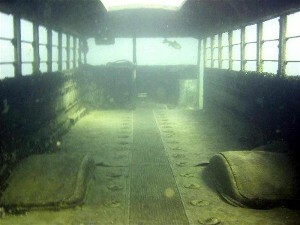 They also have underwater platforms suspended at 25 feet and 60 feet for training. 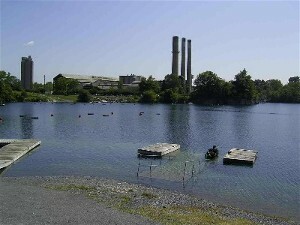 The bottom of the quarry ranges from 20 feet to 105 feet. The average depth is 60-65 feet. We’ve been down to 91 feet, but were in 7mm wet suits and the water got a little cold there. We’ve since been back in dry suits and it’s much more comfortable. Water temp at its warmest is in the high 70s at the surface. There’s a thermocline about every 30 feet that drops it down about 10 degrees. So if you’re going to be hanging around 60 feet during your dives, you might want to consider diving dry. One of the Great Lakes of the US, Lake Michigan lies on the southwest portion of the Great Lakes group. During a trip to Illinois we couldn’t pass up the opportunity to get a couple dives in the Great Lakes. 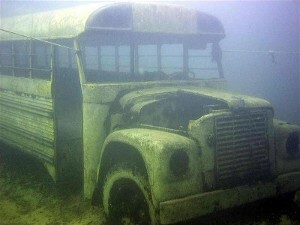 We booked a trip on the Divers Dream of Dive Right in Scuba. We headed to Hammond, IN where the boat was docked and loaded up gear. A quick trip out and we were tying off close to the wreck. The Divers Dream is a fast boat! 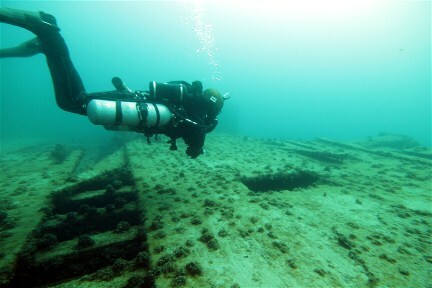 Here’s a video showing both of the wrecks we dove while at Lake Michigan. 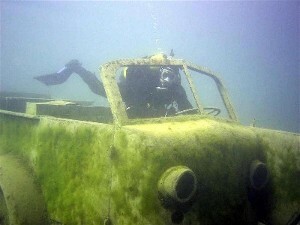 Rotarian and Wells Burt Wrecks, Lake Michigan from Rob Neto on Vimeo. Our first dive was on the Rotarian. The Rotarian is 147 feet long with a 27 foot beam. It was used as a dance hall and restaurant that offered illegal alcohol during the Prohibition years, even hosting Al Capone. It sank at its dock and was then raised, towed out into the lake and scuttled in 1931. 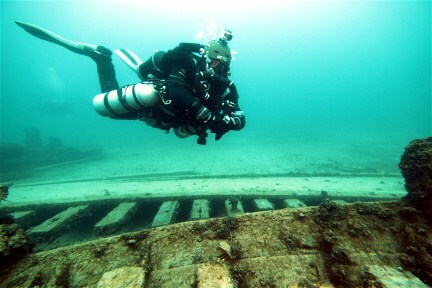 Because it lies in a shallow 80′ of water much of the wreck has fallen apart but the boiler, hull timbers, collapsed hull, and propeller can still be seen, as well as numerous beer bottles from its days of Prohibition. Visibility was about 50′ with a cool water temperature of 45 F.
Check out some photos taken by Mike Pedersen of DRIS. Our second dive brought us to the Wells Burt. 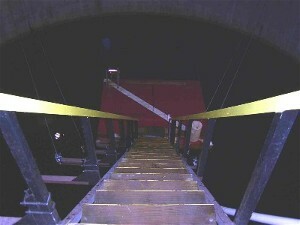 The Wells Burt is 201 feet long with a 33.5 foot beam. Her hold was over 14 feet deep. 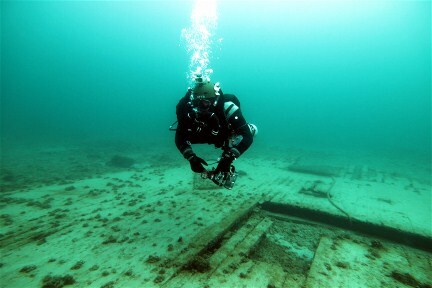 She served for 10 years on Lake Michigan before becoming victim to a storm. 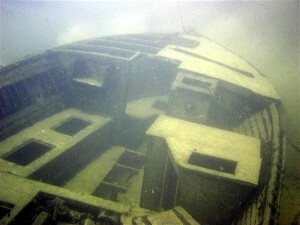 The Wells Burt rests in 40 feet depth and is fairly intact. 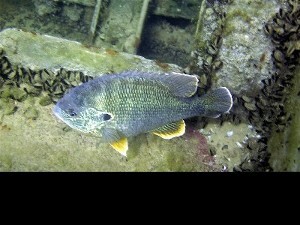 There are numerous dead eyes on the wreck and some small areas where swim throughs can be done. Visibility was about 30′ and water temperature 52 F.
Here are some photos by Mike Pedersen of DRIS. Check back for a short video! Located on the coast of North Carolina, this ranks as one of the best areas to dive as far as we’re concerned. It’s not for everybody, though. Temperatures there tend to be on the colder end. Currents can be rough. 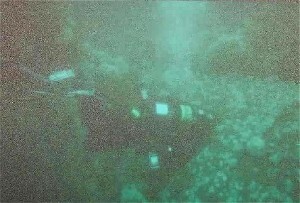 Conditions can change mid dive. Two currents converge in this area of the Atlantic coast, the Labrador Current from the north and the Gulf Stream from the south. These currents often meet each other and will create conditions seen in very few places. 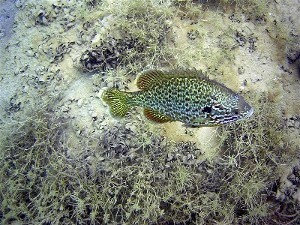 And these conditions can change during a dive, as did with us. When we were there, the Gulf Stream was above the Labrador. We splashed into 20 feet of viz or so and made our descent. At about 40 feet we hit a 15+ degree thermocline. Talk about shock. The viz also opened up a little bit. The current wasn’t too strong, but did keep pushing us into the wrecks we dove on the leeward side. 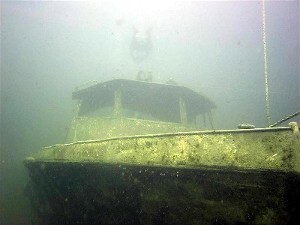 A little bit about NC diving – There are literally hundreds of wrecks in the waters off this state. Some of them were sunk during wars. Many of them sunk during storms. This is the graveyard of the Atlantic. 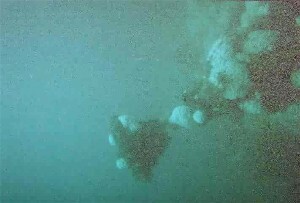 Two of the wrecks we dove still had live explosives on them! 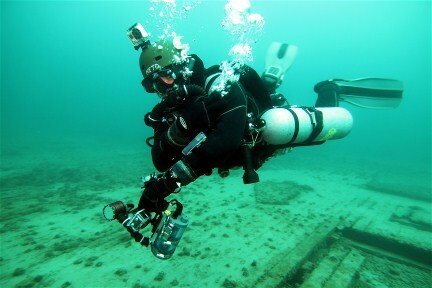 Our second dive on the U-85, the first German U-boat to be sunk in WWII, gave us twist! Viz had been about 30 feet or so. There’s a permanent mooring buoy that someone placed there, but the op we were with didn’t place it there, so they tied us off at the other end of the sub. We descended and hit the thermocline, bringing us into 57 degree water (in August). We explored the boat, checked out the damage holes and the live torpedo laying on top of it. As we were on the dive we felt a shifting of the currents. As we made our ascent, we stopped at the deco bar. While hanging there we happened to look around and we could see the permanent line, over 100 feet away! It was in a very prominent S shape caused by the two currents hitting it from opposite sides! How’s that for conditions?!?! We thought it was great! 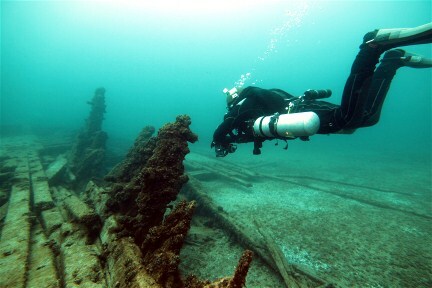 We also did a shore dive to the Kyzickes (one of the Triangle wrecks). There is a buoy where the arrow is pointing. We had snorkeled out to it about an hour before the dive to check out conditions. It took us about 20 minutes to swim out, do a couple of free dives and swim back. By the time we geared up, the conditions had changed dramatically. The current was pushing in to the north. It took us about 25 minutes to surface swim out to the buoy. We dropped down into a ripping current. 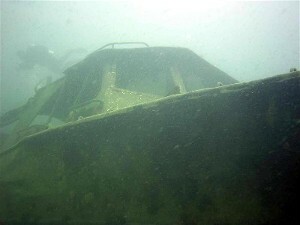 We never left the shelter of the inside of the wreck for fear of being blown off the wreck. 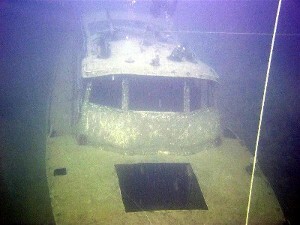 This wreck is only in 20 feet of water, but the viz was less than 3 feet at the time. 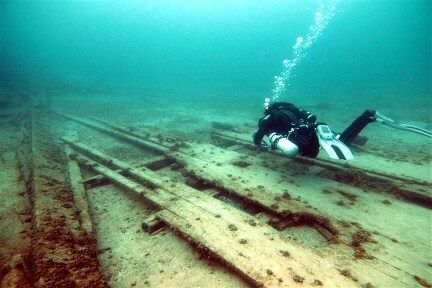 Fortunately, there was plenty to see in the wreck. 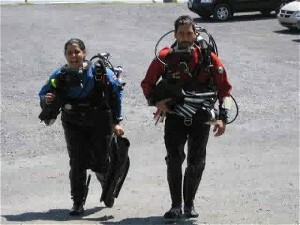 OBX is a great place to get in some fabulous dives, but it is definitely for advanced divers. The strong currents, and the fact that they change so quickly and without notice makes it necessary to be in good shape and prepared for whatever the sea brings you. 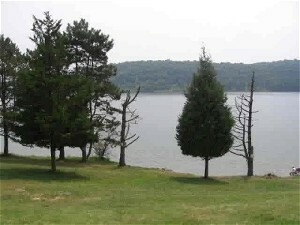 Round Valley State Recreation Area boasts the deepest lake in New Jersey. It’s located in north central NJ in Clinton township. It was created when an earthen dam was place at one end of the valley. Water is actually brought up and in from nearby Raritan River. 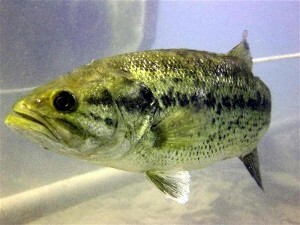 The water temp varies from mid-50s to low-70s with a 10 degree thermocline at about 30 feet. Visibility ranges from 15-30 feet. However, there’s not much to see. Depths can reach greater than 160 feet, but the usual dive area only reaches about 60 feet. In scuba diving area 1 (which, incidentally, is the only shore accessible scuba diving area) is a platform at about 25 feet depth. 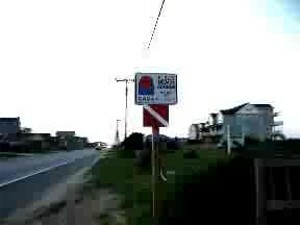 Divers must check in and out at the ranger station. 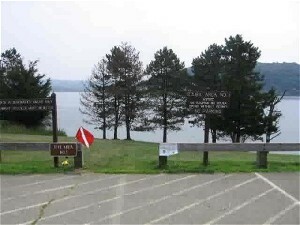 Remember to bring your cert card, dive buddy, “inflation vest”, and dive flag because that’s the only way you’ll be legally diving in this lake. Careful walking down the slope. It can be a little steep. There has been speculation about a town at the bottom of the lake. Research reveals that the building were torn down prior to the dam being built. All that remains are the foundations and roads. However, the bottom of Round Valley Reservoir is jello like silt that is probably a couple of feet thick. Even if you wanted to find the foundations, the chances of this are pretty low. This is a good place to practice skills and get used to new equipment.